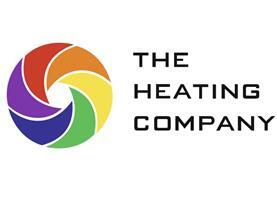 The Heating Company - Central Heating Engineer based in Solihull, West Midlands. The Heating Company is a family owned business that specialises in central heating installations carried out with pride and integrity, we have worked within the sector for over 15 years and have gained a wealth of experience and knowledge. As we are a small business you can rest assured that everybody will be on the same page, at every step as your project progresses however big or small it may be. With our years of experience in the domestic heating sector, we are able to offer a customer focused service which is backed up by total professionalism. Our relationships with leading boiler manufacturers and suppliers enable us to provide extended warranties and competitive prices on all central heating products. We are an open and honest company, all quotations are fixed price. We have built our reputation on providing a first class, efficient and honest service. We always look at the services we offer from the customer's point of view, this in turn means you get full satisfaction and a happy outcome when using our services. All work is carried out by gas safe registered engineers to the highest standard. Feel free to get in touch for a free no obligation quote.